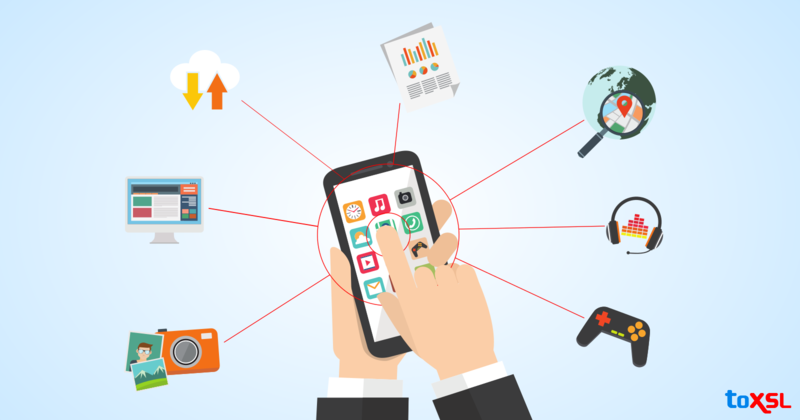 Simply launching a mobile application to solve customer problems may not be enough these days as everybody is constantly looking for strategies that can improve the customer experience of the mobile applications. There are already more than 2 million applications in the market and yours could be just lost in the haystack regardless of its promising features that makes it no longer beneficial. We have already been talking about the mobile app monetization strategies in our earlier posts and now will go a step further to help you measure the customer experience of your applications. Ratings and Reviews: To get an honest feedback about your application's experience go through the user reviews and ratings on the app store. Analyzing them periodically gives an effective way of measuring the CX as well as setting the goals to improve your score. Feedback Within Apps: This is a critical and effective element to have in an application. Indeed, this can demonstrate to give preferable alternatives over going in for ratings and reviews in the app store; the criticism is more straightforward and likely to be genuine. It can likewise spare you from open feedback and secures the identity of the client giving reviews. Duration of Sessions: This is a good indicator of the experience has with the application. Most of the users spend more time using the application if they like the experience regardless of the customers. Users get hooked on applications that offer an engaging experience. The duration of the sessions is inversely proportionally to the chances your app is not liked by the users and required improvement. Abandonment Rate: First-time customers would have a tendency to download an application and give it a shot. In any case, they are probably going to dispose of it as well. While there is no reasonable way characterized for handling this promptly, considering the rate of abandonment over some stretch of time and distinguishing patterns among new clients can enable you to limit at the issue and controlling the abandonment rate. User Sentiments Logged via Social Media Tools: It is very fundamental to assess and measure the sentiments of clients about your application. The clients might not have indistinguishable emotions or encounters as you do. The client sentiment metric is the best alternative to decide how the client of an application sees it, and how they respond to it emotionally. The client sentiment metric enables you to react to the emotional responses of the clients while utilizing your application. There are apparatuses that can enable you to track feelings of the general population towards your application, and they include: Google alerts, social media etc. Measurement is a highly critical and challenging exercise in app building. Once you have collected the insights, they will be futile if you do not act on time. These insights mirror where you stand, and give you a roadmap for heading to the top. Regardless of how highly skilled a development team is, and how effectively an app can address a customer’s pain point, it won’t be a success until you are sure of the experience it delivers to the user. Running an application through several internal testing and quality assurance processes may be wasted if you do not measure the customer experience of the application.